For psychologists, it’s common knowledge that a large chunk of our behavior can be attributed to the subconscious mind. In fact, it’s estimated that 95% of our brain activity is driven by hidden motivations that we aren’t aware are taking place. Of course, marketers have been familiar with this concept for quite some time as well. Equipped with detailed knowledge of what marketing tactics tap into human drives, we can make smarter decisions in our communications and design. Plus, we can use the unique data to create high quality psychographic marketing campaigns that resonate with your target audience. But here’s the crux: how do you conduct the right kind of research to get your psychographic marketing off on the right foot? Just because most decisions are made on autopilot doesn’t mean we can’t try to understand them. However, simply asking someone to delve into their own brain to provide you with an explanation for what they just did will most likely result in the wrong answer. Which brings us to the big, fat elephant in the room: humans are fundamentally bad at explaining why they do what they do. We don’t even consciously pay attention to the vast majority of our actions. And when pressed for an answer, our experiences are perceived through our own personal lens, making it hard for us to give an objective account of events. Let’s be clear, there’s rarely only one factor contributing to a decision. However, bias and personal preference generally make us only see the things we want to see. To illustrate that thought, let’s consider the following two examples that cloud our self-evaluation (just two for now, but we could go on). While we’re not always exactly sure why we do the things we do, we like to at least think we’re doing it for the right reasons. This desire is so strong that confirmation bias drives us to look for evidence that supports our past decisions while blocking out contradicting information that is less in favor of our choices. Using this type of selective reasoning, you can easily justify your decision to buy a brand new smartphone (“It takes such great pictures!”), while ignoring the fact that there’s nothing wrong with your current model or could have spent the money better elsewhere. To get an even clearer picture of how subjective our observations are, the attribution bias can’t be excluded from the conversation. Imagine yourself walking down the street and coming across a stranger shouting on his phone. An easy conclusion would be that this person must have a bad temper and likely often acts this way. Conversely, when it’s our own behavior that’s being called into question, we’re probably not so quick to single out an action as an accurate reflection of our complete personality. What if we just received some bad news, like losing a job or a relationship ending? The fact that we would not give a stranger that benefit of the doubt, is called fundamental attribution error. The closely related self-service bias dictates that we use those situational explanations only when it suits us. Positive events are always down to internal factors, whereas negative events are blamed on external ones. Won a football match? Congratulations, you must have been the better team. Did you lose? Obviously, the referee was against you the whole time - how on earth did he not see that was a penalty? 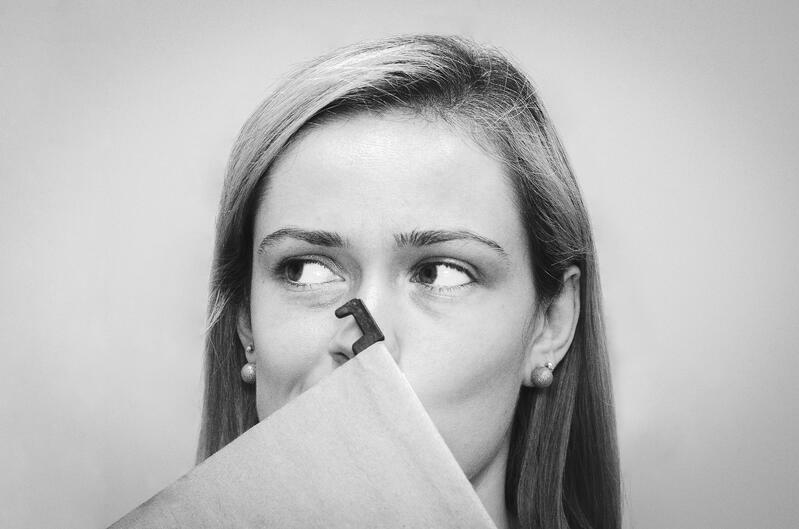 With so many biases playing tricks on our minds, it’s hard for marketers to know if any of the data gathered from user surveys can be trusted. This question has been long up for debate in the field of behavioral science as well, with two general schools of thought. In 1980, Ajzen & Fishbein developed an attitudinal questionnaire framework built for measuring people’s thoughts and feelings about various topics to predict future behavior. While their tool was widely adopted by behavioral scientists, the attitudinal approach has not been without criticism. If you’ve been paying attention so far, you can probably guess why. 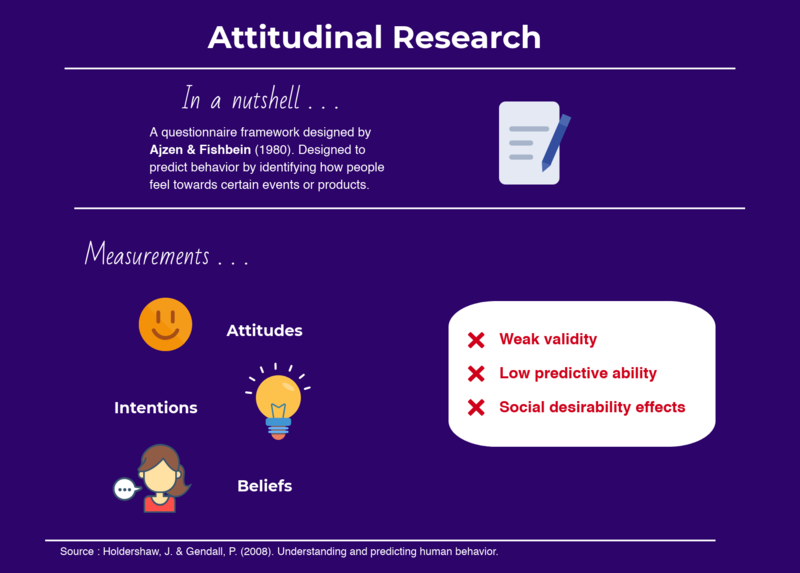 For starters, one of the major downsides of using intangible concepts like attitudes, intentions, and beliefs, is that they’re highly subjective forms of measurement. What one person experiences as an 8 out of 10 level of excitement, it could be just a 5 or a 6 for the next. There’s really no telling which number is right, nor is there any way to verify whether a person is accurately describing how they feel. And it gets worse. As it turns out, there’s generally little predictive ability to attitudinal questionnaires. Attitudes only explain so much as 40% to 50% of people’s intentions, and a mere 19% to 38% of their behavior. This incongruence gets often blamed on social desirability: the urge that respondents feel to select the answers they think researchers are hoping to hear or to only provide the information that makes themselves look better. Even in completely anonymous settings. But let’s assume for the moment that respondents aren’t actively trying to sabotage your experiment - most of the time, they aren’t. Even in real life, intentions won’t always match behavioral outcomes. Just consider how many new year’s resolutions are already broken after just a few weeks time. No matter how genuine our intentions may be, they’re never a guarantee for future behavior. Enter the behavioral framework (1980). 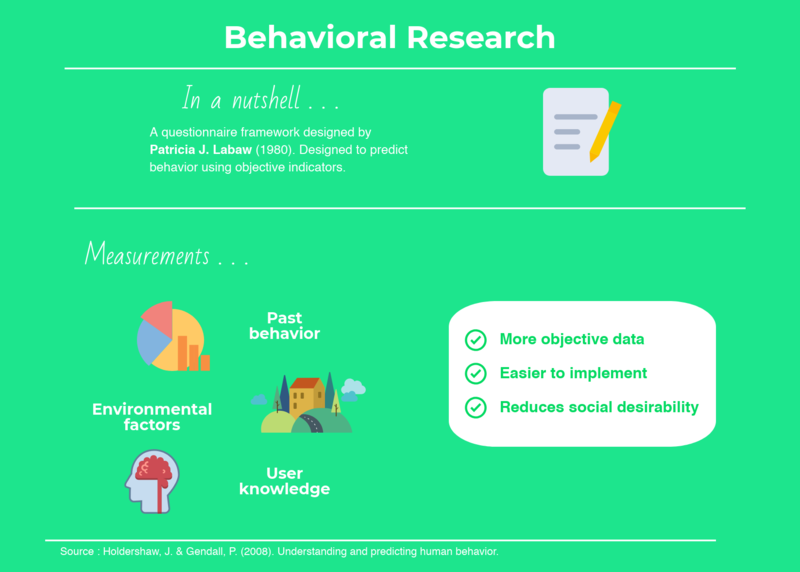 By throwing all subjective measurements out and focusing on objective indicators such as past behavior, environmental factors, and knowledge instead, Labaw’s alternative was guaranteed to result in more trustworthy data. Furthermore, the attitudinal questionnaires turned out to be easier to implement as well; solving past issues with social desirability, but other common survey issues such as respondent fatigue and decreased question comprehension. While this shift already marked a significant step in the right direction, it still leaves us with one big question: now that we have the right data, how can we detract meaning from it? It’s no secret that good market researchers also need to be able to think like a psychologist. Enter psychographics. Psychographics are characteristics that describe the motivations, personality, or interests of an individual. With plenty of technological tools at our disposal, you can easily turn your webshop's data into psychographics. Given this new wealth of knowledge, you can learn about your customers on a deeper level without dabbling in questionable acquisition activities (cough, cough, Cambridge Analytica). To get psychographic insights, you can run various tests that leverage psychological principles on your website. One of the most widely used practices to do this is with A/B testing. Common A/B experiments work by running two versions of a website simultaneously: often a regular one (control condition) and a slightly altered version. For example, in the picture above you’ll see an example of two very similar versions of a product detail page, only displaying different messages underneath the product image. During the experiment, all visitors will be randomly divided over two options. This experimental design allows us to make simple, testable hypotheses about which persuasive text-message will work best. The one that has generated the most conversions, sales, or click-throughs at the end will show whether we were right. Being the ability to test in a natural environment, which removes social desirability effects completely. Measuring actual behavior, making the results as objective as possible. Receive surface details of which persuasive techniques or copy-variations work. However, that doesn’t mean that A/B testing is perfect. As the name implies, it only allows you to test out two alternatives at a time. If you’re absolutely keen on testing all the variations you can think of, it will take you a very long time. Luckily, there are solutions to make your customer research more effective with AI. In A/B testing, you simply choose beforehand what types of variations you want to be testing. But, what if AI could help you to make those decisions for you in real time? Whereas A/B testing is a static approach, the possibilities with AI are endless. Not only does it allow you to simultaneously test as many different copy variations as you want, it also factors in a range of multivariate conditions contributing to a decision. So, when combining pre-existing knowledge of psychology with the power of machine learning, a website can find the best psychological tactics to use, the optimal copy to express it, and the best performing format. Crobox uses this approach to optimize webshops’ performance. 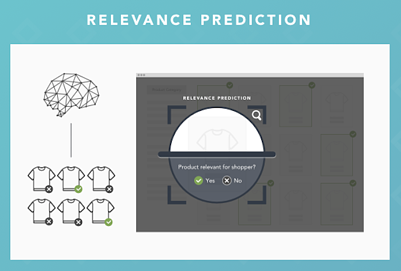 Our AI first uses relevance prediction to chose the products that meet certain specifications (e.g., the most popular products use social proof messaging). 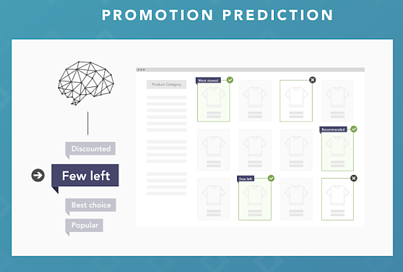 After this it goes through a process of promotion prediction to test multiple copy-variances to find the optimal combination. The great thing about using AI is that it automatically chooses the best message/product/format combination based on the shopper's location, device usage, or on-site behavior. Greatly reducing the cumbersome task of A/B testing all variations. Sound cool? Check out our recent interview to hear more about the technology behind it. So, what does all this data ultimately tell you about your consumer? This is where psychology comes back into play. For instance, if you notice a big increase in conversion rates for social proof messages, it’s likely that your audience values the opinion of others. For them, knowing what’s popular will be a key motivator for buying behavior. Corresponding conclusions can be drawn from shoppers that respond to messages using scarcity, novelty, authority, etc. From there, you’re able to work towards a more accurate understanding of your audience. So, instead of just saying “We know that our users favor version A of our website,” you can conclude that shopper x prefers message y, in situation z. Curious to learn how you can turn your website's data into customer intelligence, read this blog post to go one level deeper. In the long run, smart notifications should prove to be helpful to both consumers and organizations. By making the process of customer research easier and more accurate, webshops can gain a better understanding of their audience and will be better at providing them with the information they’re looking for. When it comes to your psychographic research, be sure to have a full understanding of the potential pitfalls before you get started. People are generally bad at understanding and explaining their own motivations. For more reliable online marketing research, choose behavioral measurements over attitudinal ones. Technology can help you to make more accurate predictions of consumer behavior, combined with the psychological insights to interpret the data. Conduct your research in an ethical way: be transparent about the data you collect and truthful in the claims you make.